What, Game Center wasn't good enough for us? Gameloft Live brings the Xbox Live-ish experience Android gamers have been futzing about with to iPhone and iPad, complete with 3D avatars, social networking, multiplayer challenges and unlockable rewards. Look at me, I'm so damn skinny, and my virtual representation is far less lazy about shaving his head than I am. It's all thanks to Gameloft Live, now downloadable for free in iTunes. It's a place where fans of Gameloft's original iOS titles can congregate, communicate and compete for much nicer background environments then my crappy New York loft apartment. It's a hub for Gameloft games, where players can launch or purchase titles from the company's vast catalog. 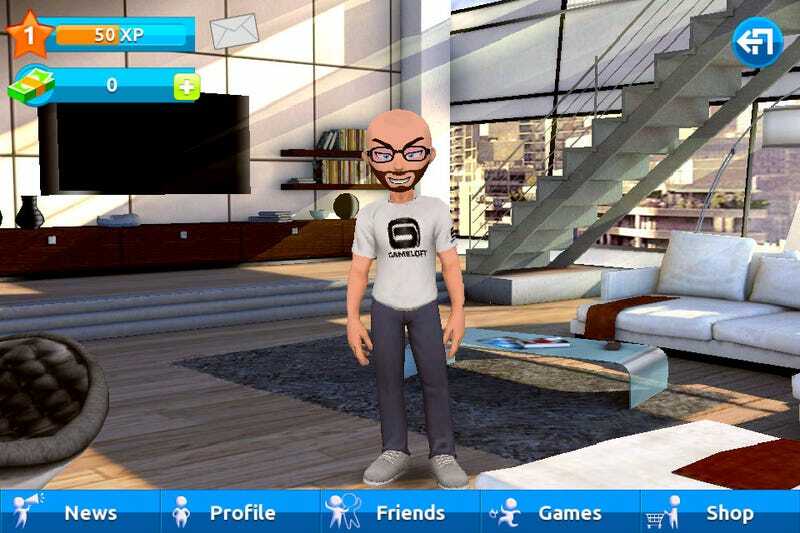 Build a gamerscore, unlock rewards, and purchase virtual items to spiff up your avatar with virtual cash. I'm hoping they sell body fat in the virtual store, I look chilly. You can download Gameloft Live for iOS right now, and then you can add a user named Bunnyspatial as a friend, because I feel so close to you people right now.